Ikateq was a small village of about 12 homes in south east Greenland, about 13kms from Tasiilaq although it could only be reached from there by boat. Due to its remote location and isolation, the population declined drastically until no one was left. 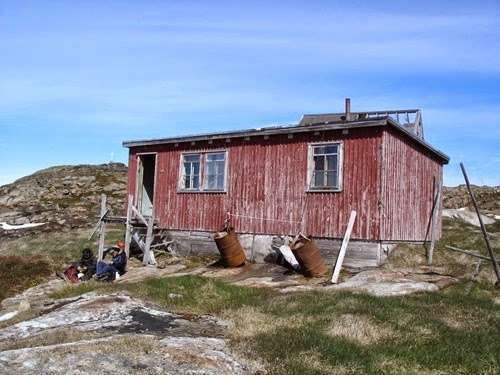 The small village was left abandoned however the buildings are frequented sometimes by hunters, adventure travellers and fishermen looking to find shelter from the harsh Greenland weather. The United States Army Air Forces operated a small airfield called Bluie East Two at Ikateq which was in operation between 1942 and 1947. The United States took responsibility of Greenland’s defence in 1941 after Denmark was taken over by the German forces in World War II. They began scouting locations suitable enough to build runways of 5000 metres with clear approaches. The search was undertaken from Angmagssalik about 40 nautical miles to the south and Ikateq was chosen despite the harsh weather conditions. Construction began with supplies arriving by flotilla. Bluie East Two never saw a lot of usage and Keflavik in Iceland remained a more prominent area for the US forces in this part of the Atlantic. The extreme weather conditions made operations at the airfield difficult throughout the year. It was abandoned by the USA in 1947. Denmark had little interest in keeping the airfield in operation and locals began taking anything the Americans had left behind. An airport was eventually built in Angmagssalik. Ikateq suffered as a result of being exposed, with no hills or mountains nearby to protect it from wind or biting cold. Many houses took extra measures to stay attached to the ground including weights attached to ropes thrown over the roofs. Ikateq is now a popular destination for Greenland’s many adventure tourists. 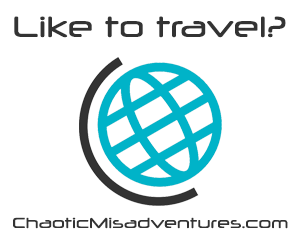 Urban explorers have also flocked to the area and lots of photos and videos exist. 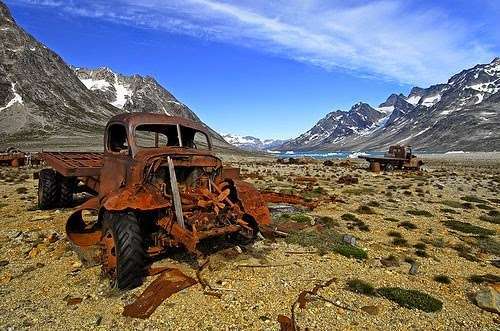 Greenland is littered with a number of similar ghost towns due to its remote nature and harsh weather.